Kaswit was founded by Denise DuBarry after selling controlling interest in Thane International, one of the largest direct response companies in the world (a company that she founded with her husband 20 years ago). Kaswit is a product incubator – a company that brings unique new products to market. With over 20 years of experience in product development and the infomercial business, DuBarry has a keen sense for what the public wants, and how to market a product. Kaswit’s top projects are the Pilates Power Gym by Kevin Abelbeck, Secrets to Training the Perfect Dog with Don Sullivan, The DogFather®, and Fleurings by Samantha Lockwood. To delight our customers with innovative and exciting products and technologies that create a better quality of life while relentlessly providing excellent customer care. I have worked closely with Denise DuBarry Hay, KASWIT, since 2007 and it has been a thoroughly enjoyable and prosperous experience. Our projects together have always been full of out-of-the-box creativity, fun, excitement, and comaraderie. We have ventured into many areas including the production and management of a series of very successful infomercials, a 1.5 hour PBS pledge special television show, writing and publishing my first book, branded product extensions, and building a strong social media and Internet presence. We have also recently added the Dogs For Our Brave charity initiative to our repertoire of projects whereby we are helping to provide companion service dogs to injured war veterans, and plans are in place for the development of an online reality show. 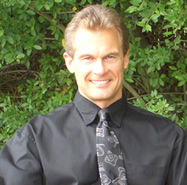 Kevin has a degree in exercise and sports studies, is a natural body builder, a former marine and an inventor. He holds 24 U.S. patents and continues to develop new products. Kevin and his wife, Laurie, reside in Fort Collins, CO.
Don has been a professional animal trainer and dog behaviorist since 1986. His experience includes work with killer whales, sea lions and seals at the former Sealand of the Pacific. 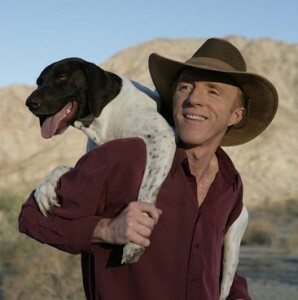 He seeks to transform the lives of dogs and their owners into positive relationships based on respect and freedom. A multi-talented woman, Samantha is an actress, a Bikram yoga instructor and owner of Kauai Bikram Yoga, an artist and is the inventor of Fleurings. Kaswit products have been featured on the following direct response channels.